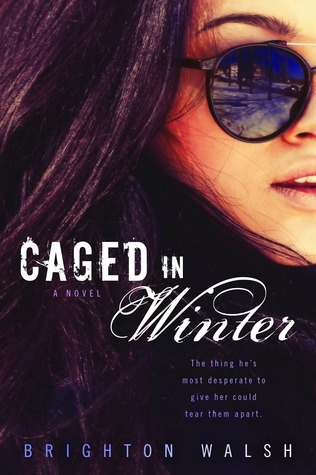 I really enjoyed reading about Cade and Winter. Cade is one of those characters who is not what he appears to be. He has tattoos and piercings and a strong physical presence, but at heart he is loving and self-sacrificing to a fault. Winter goes on the biggest emotional journey in the book, but Cade has one as well. It was nice to see him listen to his friends, family, and Winter and take a look at the life he's been living from another perspective. His sister Tessa and Winter both make him re-evaluate his staunch position. Everything he has done and continues to do is out of love, but the giving needs to wrap back around to himself as well. Watching Cade break down Winter's barriers was a beautiful thing. I love that it started with a simple walk to the bus stop after work and then grew from there. That's the type of story you tell the grandkids, you know?!? "I walked her from work to the bus stop day after day until she gave me the time of day." Winter was able to put on a front at work, but Cade saw right through that and saw her underneath. *swoons* At times I was like, "C'mon Winter!!!" with her stubbornness and her refusal to let him in, but her hesitation made sense. But when she is finally able to look at her life and her choices in another way, thanks to Cade and Annette, it heartening to see things with her through new eyes. I need the next book, Tessa Ever After, in my life immediately.